Here we go again, it’s time to twist and shout! 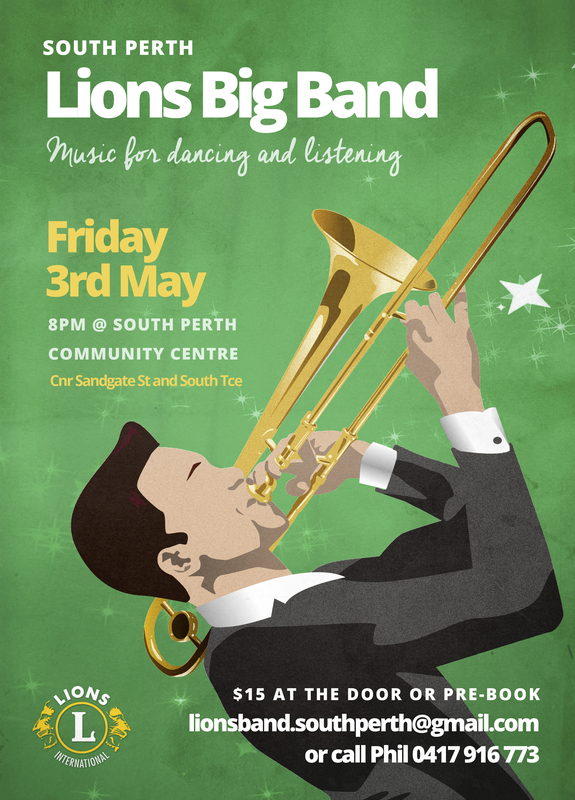 Come and join the South Perth Lions Big Band on Friday 3rd May 2019. Listen and dance to the magical sound of the full big band with our great singers! We hold monthly dance shows at the South Perth Community Centre, corner of Sandgate St and South Terrace – just 5 minutes south of the Narrows Bridge. View Map. The show runs from 8-11pm and the cost is only $15. You can pay at the door, alternatively email Lorna or phone Phil on 0417 916 773 to reserve a table. BYO food, drink & glasses! Copyright © South Perth Lions Club 2016. All rights reserved.